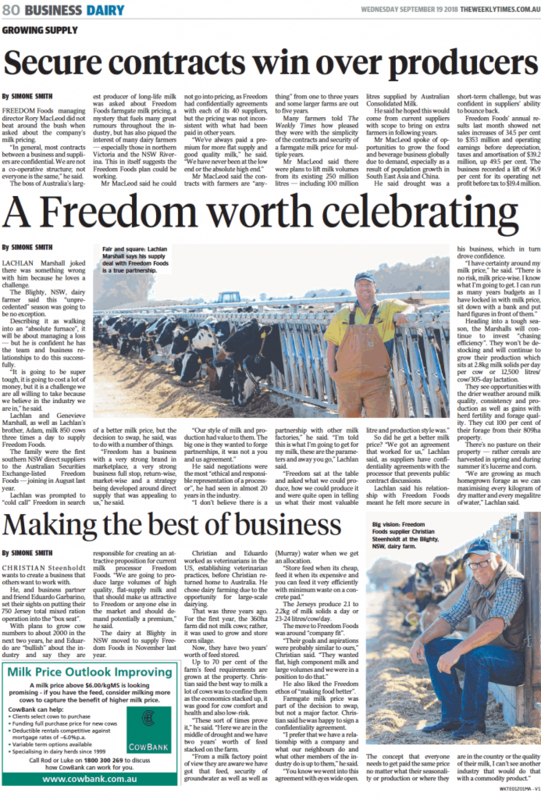 Freedom Foods currently collects milk from around 60 dairy farm partners in Northern Victoria and Southern NSW to supply our Shepparton factory. Our aim is to forge genuine partnerships with our dairy farmers and above all, treat them in an ethical and responsible way. 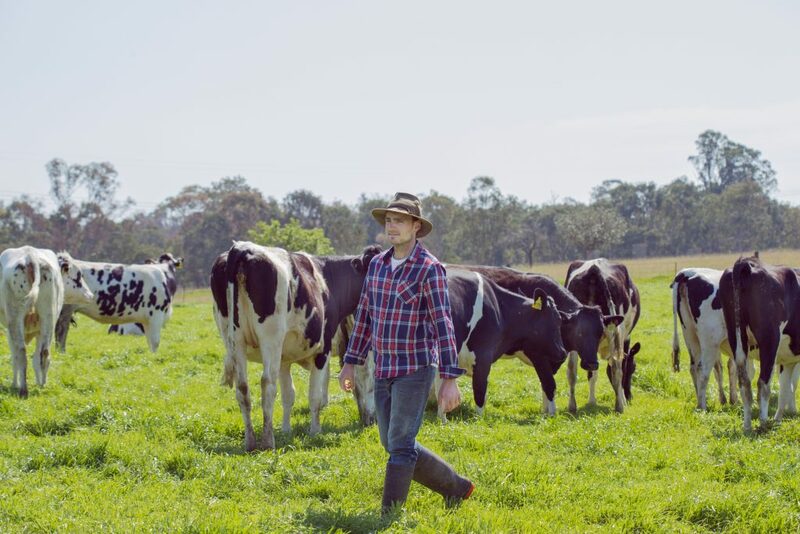 To that end, a thorough recruitment process is undertaken to ensure that our dairy farm partners understand the Freedom business model and, in turn, Freedom Foods understands the goals and aspirations of our dairy farming businesses. This creates a solid foundation upon which a milk supply agreement is tailored for each individual business. Each farm business is able to negotiate aspects of their milk supply agreement including price and term, with the outcome being Freedom Foods receives consistent and quality supply of milk while the farmers receive certainty and sustainability around their milk price. We are now in our third season of direct farm supply of milk, and the overwhelming feedback is that our farmers are pleased with the simplicity of the agreements and the security of a guaranteed farmgate milk price for multiple years.